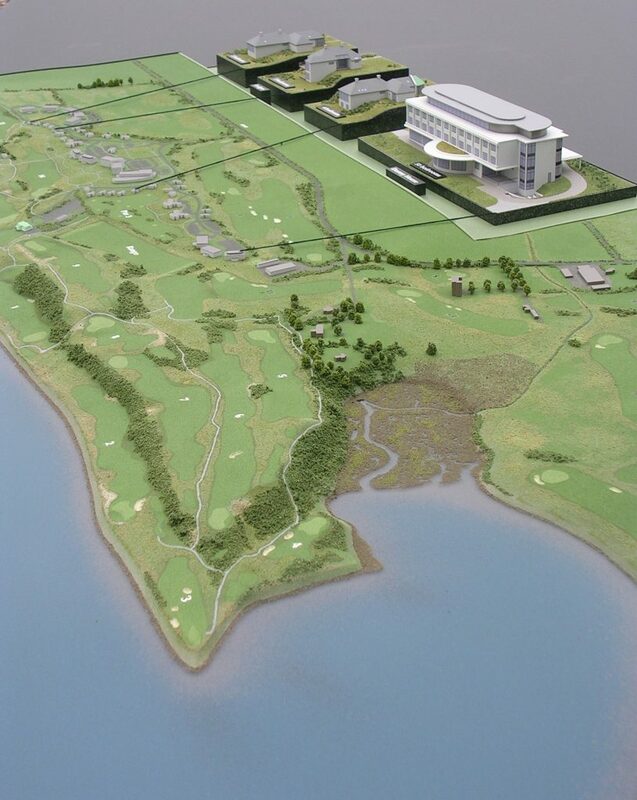 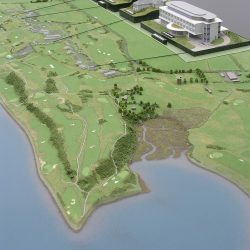 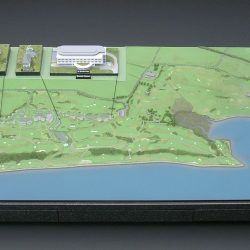 Inver Models was commissioned to produce a landscape model of a sports course for the championship golf links course at Castle Stuart. 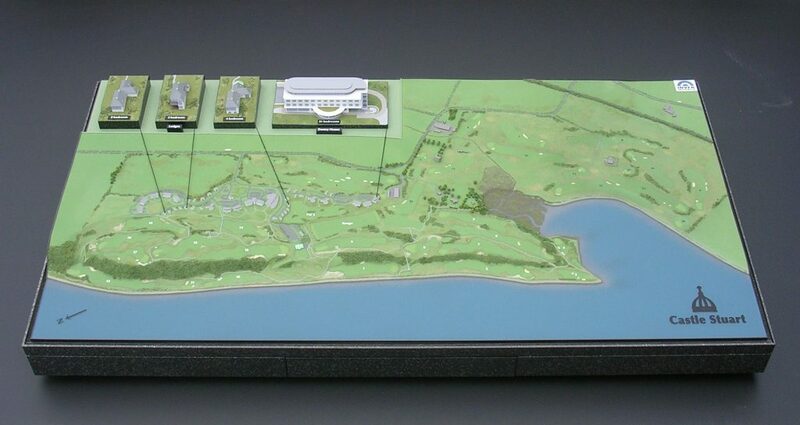 A pair of models were supplied fully detailed (with a slight exaggeration to the vertical scale) with bunkers, greens and landscaping clearly depicted. 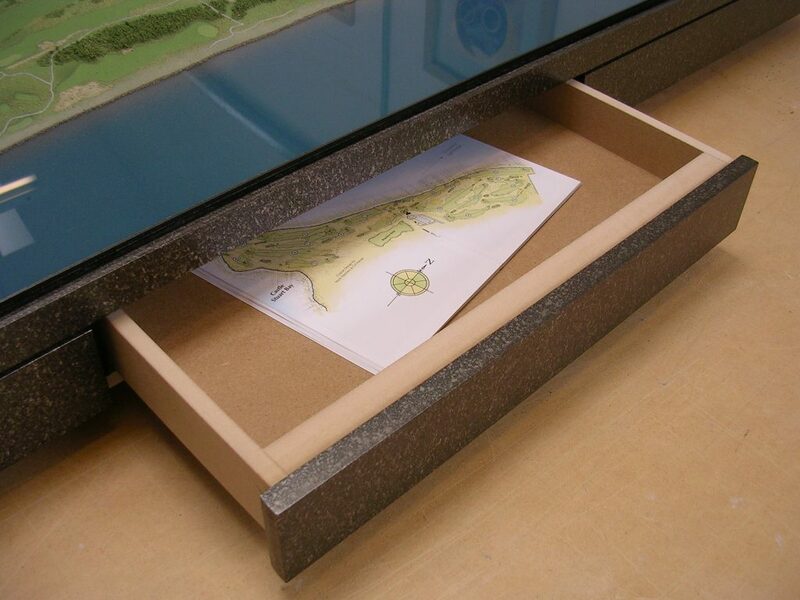 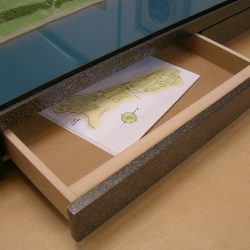 A discreet drawer was also included in each base for the storing of marketing literature, in addition to display cases and base boards.